You’ve just gotten home from running some errands and your pet is gone. Now, what are you supposed to do? Follow our simple tips and hopefully, you’ll find your loved animal soon. It’s important to start your search immediately. Make lots of noise – yell for your animal. Stop everyone you see and ask right away if they’ve seen your pet. Most of the time your pet is nearby, so they might hear you and come running back. 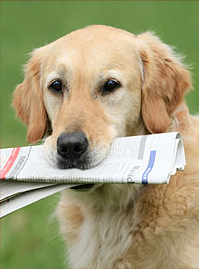 Consider creating a flyer with all of your pet’s information on it. Distribute them to libraries, vets, police departments and neighbors. If you are offering a reward, leave out something about your pet’s traits that they will need to identify. Also, avoid scams by staying clear of anyone asking you to wire them money. Go through your neighborhood multiple times each day. Talk to everyone you see along the way. You’ll also want to contact the shelters each day. Look in hiding places in the neighborhood. You can’t do this once your pet is lost, but it’s a good precautionary measure. Put your cell phone number on the tag. These are just the size of a grain of rice and placed under the pet’s skin. It transmits your phone number through radio frequency waves. Your vet can implant the chip speedily. Then, when your pet is found, a veterinarian and shelter can scan and attempt to contact you. There is a small issue with microchips. They run on three varying frequencies and there are two communication protocols sold. Sometimes, a chip is missed, so you don’t want to rely on this as your only way to find your animal. Whatever you do, don’t panic. The majority of pets are found within 48 hours. Be diligent and don’t give up searching until you find your furry friend. The pet business continues to boom with an overall focus of health across the board. Here are the hottest things happening right now and what we can expect in the future. Natural pet products continue to grow in popularity. That’s because most pet owners understand the high levels of toxicity in synthetic products plus there’s more of a concern for the environment. Mobile pet grooming – special vehicles arrive at your home to perform grooming services. 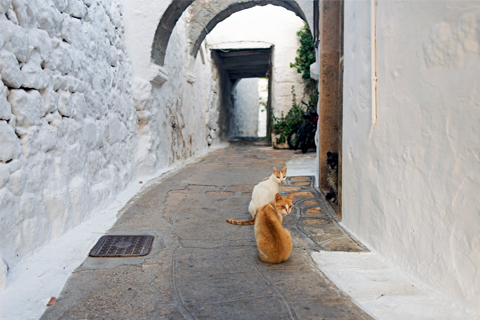 Pet-friendly travel – hospitality and vacation locations are catering to pet owners and their furry friends. Travel apps – apps that help to connect consumers with places to take their dogs and cats. Pet health insurance – while they’ve been around for some time, popularity is getting larger recently. As we move forward, you are going to see some more trends emerging. Pet parents are expected to see continued increases in the industry and spend more money shortly. Online shopping sites, like Amazon, have been selling record amounts of pet products and those numbers will continue to increase. Look for more innovative services, concepts, and products to emerge over the next year. The ASPCA Animal Poison Control Center has compiled a list of toxins commonly ingested by pets and for the first time ever, over-the-counter-medications proves the most problematic. Help keep your pet happy and healthy be keeping these dangerous items away from your pet. Food for humans - Garlic, onions, grapes, alcohol, and xylitol are just a few of the many human foods that can be poisonous for dogs and other pets. Veterinary medications - Pet owners should be cautious with veterinary medication, especially any chewable medication which is appealing to pets. Chocolate - Chocolate, especially dark and baking chocolate, is extremely dangerous to pets if ingested. Plants - Keeping some greenery inside helps with maintaining fresh air within your house, but they can also be toxic to pet, especially cats. Before adding plants to your household, check to see if they could be toxic to your pet. Rodenticides - Using rodent poisons to rid your house of mice or rats is a common enough practice but those poisons also pose a potential hazard to your pets. Make sure to keep them out of reach so your pet doesn't accidentally ingest those poisons. Lawn and Garden Products - While maintaining your yard, be aware of herbicides and fungicides and your pets. They can be dangerous and potentially lethal if ingested. If your pet ingests something it shouldn’t, contact your veterinarian or the Animal Poison Control Center at (888) 426-4435 immediately. 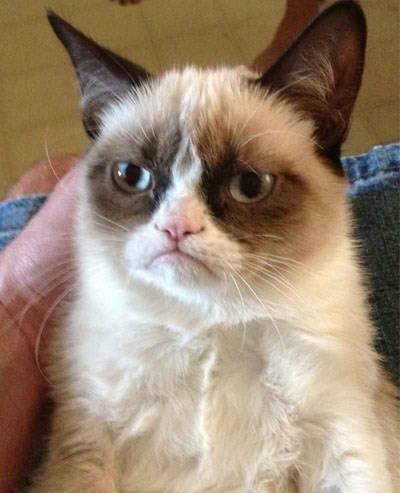 Feel like Grumpy Cat is everywhere these days? It’s not just you. The famously dour feline has had a big few years since her owner posted her on Reddit in 2012. With multiple books, licensed product lines, pet food endorsement deals and even a starring role in a made-for-TV-movie, Grumpy Cat has transformed from the star of a popular YouTube video to a full-fledged brand. From TV to the big stage, Grumpy Cat even had a Broadway debut in Cats in October 2016 for a one night only appearance. Grumpy Cat’s owner won’t say how much the cat has made, but one tabloid pegged the figure at $100 million (a figure the owner denies). And yet, it’s still not enough to make Grumpy Cat smile. Grumpy Cat isn’t the only living meme raking in the dough. Boo, the Pomeranian dog, has signed off on licensing deals with companies like Crocs, published three books and secured a spokesdog gig with Virgin America Airlines. Of course, fame has a dark side: like many celebrities before him, he was the subject of a death hoax. Not to worry – Boo is alive and well. Other rich pets include Chris P. Bacon, a pig who was born without the use of his hind legs who has learned to get around on wheel legs built out of toys by his owner; Lil’ Bub, a cat whose underdeveloped jaw gives him a permanent slack-jawed expression; and Tuna, a Chihuahua with an overbite that gives the pup a permanent expression somewhere between a grin and grimace. All three have millions of social media followers, book deals, product lines and endorsement deals that keep them raking in cash hand over paw. Think your pet has what it takes to be the next A-list meme? Only one way to find out – break out the camera and get something cute on YouTube or post on Reddit. The good news for you is that it doesn’t look like the Internet’s love of animals is going away any time soon. Pet owners vary in their level of comfort in clipping the nails of their dog, cat, rabbit or bird. But it is necessary to regularly clip nails to help maintain health and comfort. Nails which are uncared for can break or tear, and can affect the animal's ability to move about comfortably or cause the animal to injure itself when scratching. If you are uncomfortable clipping the animal's nails yourself, your vet or groomer can do this for you. • Remember, the nail is living tissue. Do not clip too close to the quick. If this occurs, the animal will experience pain and the nail will bleed. • There are two types of nail clippers available: the scissor type (which resembles a traditional scissors) or the guillotine type (which surrounds the whole nail). Both are effective. Choose the one that is most comfortable for you and your pet. • Many animals resist nail clipping. One way to get them accustomed to it is to handle their paws or feet from a very early age. 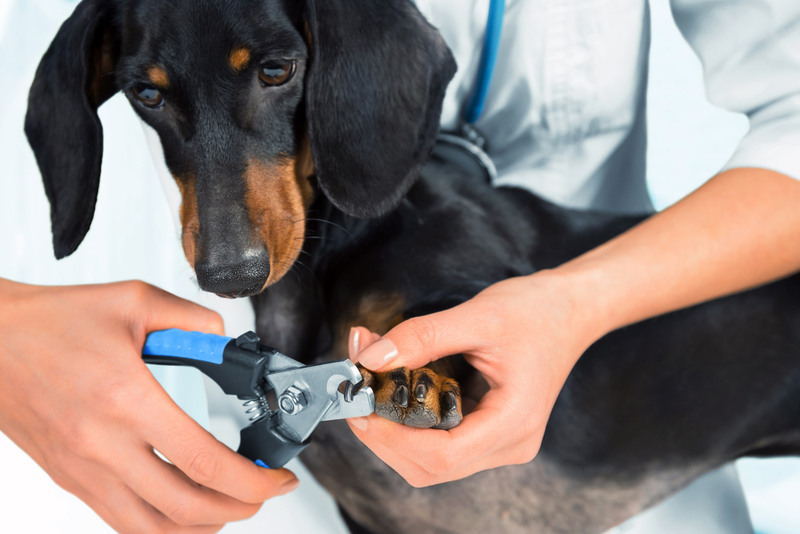 • Maintain your pet's nail clippers so that they're sharp. A dull blade and crush and fracture the nail, which is painful for your pet. With summer in the air, it’s getting particularly hard for some animals to breath. This is especially the case for short-nosed – or flat-faced dogs such as the Pekingese, pug, bulldog, boxer, Shih Tzu, and Chihuahua. However, these airway problems, which are typically due to narrow nostrils, a long soft palate or collapsed voice box, can also affect our feline friends, such as Himalayans and exotic shorthairs. This condition (known as the Brachycephalic airway syndrome) is largely due to the dog or cat’s unique head shape, so there isn’t much you can do to entirely avoid it. • Exercise: Panting may also naturally increase in the summer months as the weather gets hotter and more humid. Treatment options largely depend on the symptoms exhibited by your dog or cat. In some cases, surgical procedures may be your pet’s best option. So don’t let the summer heat waves stop your pet from getting a breath of fresh air. For more information about symptoms and treatments, talk to your local veterinarian. With nearly 7.6 million companion animals entering animal shelters a year, it’s easy to understand why shelters are full and looking for volunteers. Not only do they need donations of pet supplies, they need help with pet care as well. That’s where the role of pet foster parents come in. Fostering a cat or dog from a local shelter means you open your home to a pet on a temporary basis and provide them with a home-like environment until they’re adopted. It’s not an easy commitment, especially when you have to give them back when they finally find a forever home. It’s a hard decision, but a rewarding experience. Often, there are a few different types of pet foster candidates like kittens, recovering or sick animals, or adult cats and dogs with medical needs. As a foster parent, you can choose which type of pet you are most comfortable caring for and the best home environment you can provide for. As a foster pet parent, it’s your responsibility to take the pet to any veterinarian appointments. Most shelters will provide you with the food, equipment, and supplies needed to care for the animal. All animal medical expenses are covered. Before you foster, you’ll also need to set up your home for a new pet as well, including food bowls and beds. Some shelters will supply these items for you, however, it’s best to check the fostering agreement first just to be sure. Fostering can last anywhere from a few weeks to several months. Above all, fostering a pet means that you provide a loving environment for your new foster pet. Introducing a new pet when you already have pets at home can be tough. Some shelters recommend having a separate room where you can keep your foster pet to avoid any confrontations. Some pets may adjust to a new addition easily, others won’t. In short, don’t expect it to necessarily be an easy, quick adjustment. When you volunteer to foster a pet, ultimately it’s up to you about which pet you can foster. While some shelters assign pets to volunteers, it’s important to be honest and upfront about any restriction you might have about fostering a kitten over an adult dog, for example. 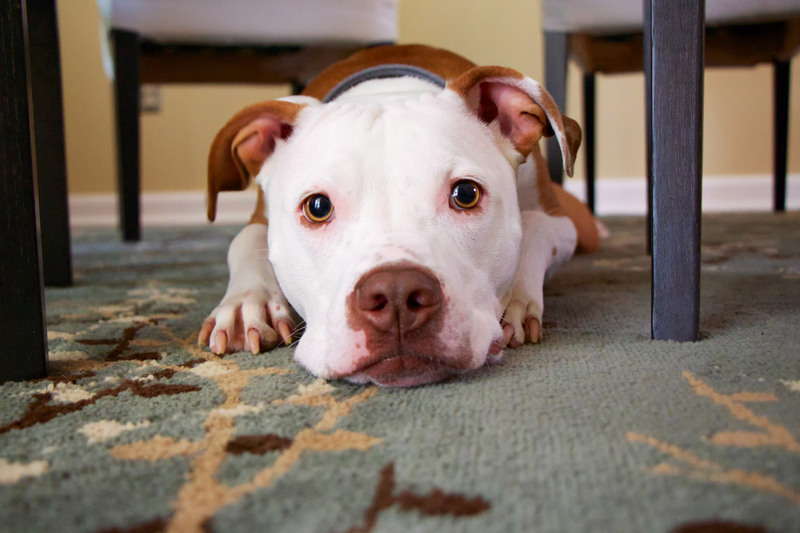 If your rent or own a condo, make sure your building doesn’t have any breed restrictions. Maybe there are behavior problems you aren’t able to handle or would prefer to avoid. That’s okay. The same goes for health problems in foster pets. If you aren’t comfortable or able to provide medication to a sick and aging cat, make sure the shelter knows. Being communicative will help ensure you are matched with a good foster fit. Search for local rescues and shelters and read about their fostering programs and fill out the fostering application. Once accepted, shelters often require volunteers to go through a short training period or orientation. Are you a dog lover? Then you’ll be happy to know that the fourth week in September has been reserved as National Dog Week. This is no ordinary holiday; it is a full-blown celebration of human’s best friend. Ever wonder where this fun celebration came from? In 1928, World War I veteran Captain William Judy determined that dogs need a week long celebration to recognize their service and loyalty. Captain Judy had earned the Silver Star and eventually went on to establish a publishing company that was dedicated to canines. He published Dog World magazines in addition to the numerous contributions he has made to establishing National Dog Week. Since 1928, the week is marked with fun activities, adoption drives, fundraising events and full community involvement. There are countless ways to celebrate National Dog Week. It is truly about focusing your attention and affections towards dogs and those who care for them. Dog lovers should get involved and plan their own events if they can’t find any. Find ways to rally donations for dog issues, join in on speaking engagement with your local veterinarians, or create some fun activities for the children in your neighborhood. If you are an experienced dog owner or trainer, take the week to gather at your local dog park and teach owners more about dog care. You may just make a few more friends; human and four-legged! Doesn’t your pooch deserve a special day? Set aside some special time for a thorough cleaning of your pet. Start with a sudsy massage and use it as a great time to check for any abnormalities. While you pamper your dog, you can easily feel for bumps, ticks, fleas or bumps that should be addressed. Just like you would with someone you love, taking the time to have a date together is an important part of your relationship. Take your dog to pick out a new collar or head to a restaurant that welcomes pets. Volunteering your dog to work with local organizations will not only bless the lives of others but can be healing for your dog. There are places that use dogs to treat abused or neglected children. You can even talk to local hospitals about therapy with cancer patients or terminal illnesses. Consider calling a local nursing home to see if the patients would enjoy a visit from your best friend. Many dog owners around the nation struggle to take care of their pets adequately. If you have the means to help, now would be a great time. Consider holding a fundraising dog walk to raise money for your veterinary clinic. You can also gather friends and family to gather supplies and drop them off to a family in need. Don’t neglect your local shelters as well because they can always use the extra food donations. Do you have a little extra room in your heart for another fun loving dog? It is time to adopt and help with those that don’t have a loving home. Not only could your current dog enjoy some companionship, but you will also reap the rewards of adding more snuggle partners in your home. Every year, multiple stores will offer deep discounts on everything you need for your dog. This is a great time to save some money, and maybe even buy a little extra to donate. Since the prices will be right, treat your dog to a few extra treats. Give your dog a special party and be sure you invite other dog-loving friends. You can set toys and treats throughout the home for your “guests” to find. There are also plenty of fun games to enjoy like hide-and-seek or fetch with some dog-friendly balls. Now is a great time to get some professional portraits done with your dog. Capture your pooch’s cute quirks and funny nature on camera so you can remember them forever. What Will You Be Doing to Celebrate? No matter how you choose to celebrate this amazing week, be sure you take the time to remember how important dogs are to our way of life. They provide companionship, service and love to all they encounter. One week a year seems like a small way to give them the thanks they deserve for their undying loyalty to us. On the second Sunday of September each year, we celebrate National Pet Memorial Day. It’s a time to look back with love at our dog and cat companions whose paws have walked the Earth. 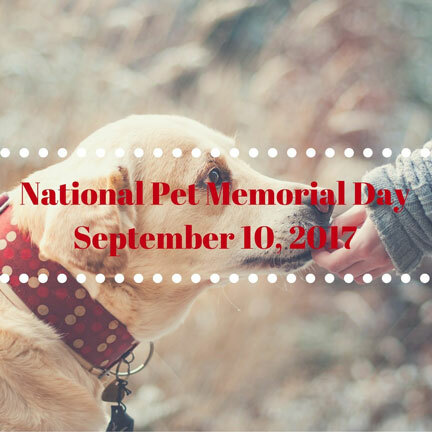 September 10, 2017, is the day this year when pet lovers can honor their lost friends and remember the love and joy they shared with their pets. Pets are cherished family members, and often our best friends. We love our fur babies and value their importance just as much as any family member. National Pet Memorial Day is a day of remembrance dedicated specifically to those beloved pets and the role they played in your life. 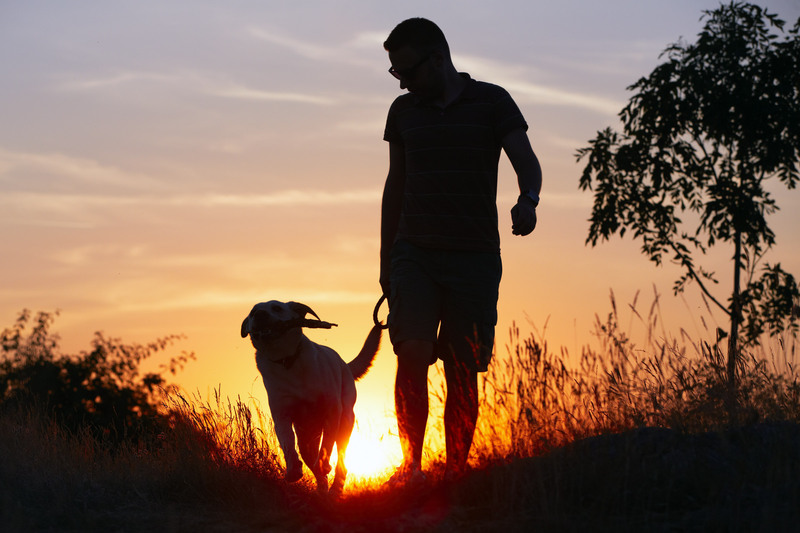 Honoring your pet is a beautiful way to pay tribute to the life that you shared. You don’t have to plan something elaborate; the point is to dedicate the time to sit down and think about the impact this wonderful animal had in your life. Contribute or volunteer with an animal protection group or charity in honor of your pet. Choose an organization that focuses on your animal's breed. Volunteers are always needed at animal shelters, rescue groups, and humane societies. Consider a donation drive to provide a pet-friendly organization blankets, food, and collars. Any gesture you make will be appreciated. Helping animals in need will lighten your sorrow. Many people like to have a memorial they can visit, so a popular tradition is to plant a tree or shrub. One popular tradition is to plant a tree as a living memorial. 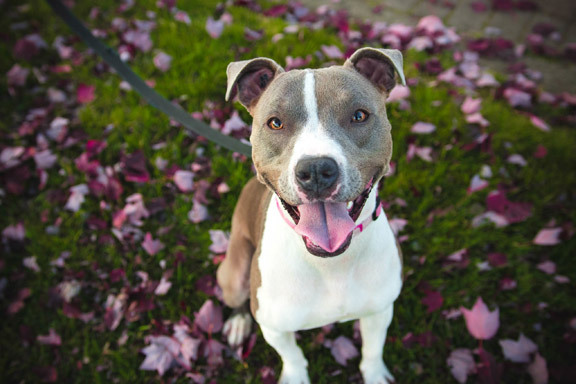 The Arbor Day Foundation will plant a tree in honor of your pet and issue you a personalized certificate identifying where the tree was planted. As the tree grows, you’ll have the satisfaction of helping the environment and seeing your pet grow with it. Visit the burial site and make a tribute by decorating it with your pet’s favorite thing. Bring a blanket or toy, tell a story, relive a favorite playtime memory, light a candle or read a special poem or book. You could even play a video while you visit to remind you of good days. Post a favorite memory on social media and share it with others by tagging it with #NationalPetMemorialDay. The International Association of Pet Cemeteries hosts a site where you can share an online memorial for your pet if you choose. If you lost your pet suddenly, try to keep your thoughts positive for others who might be grieving on that special day. National Pet Memorial Day doesn’t have to be a lonely affair; send sympathy cards to your friends who suffered the loss of a pet. Photographs capture the wonderful times you shared with your pet. Refresh your memories by browsing through a collection, or make a scrapbook of special times. As time goes by it will help to turn sadness into smiles as you take a walk down memory lane. Another way is to keep a favorite toy in a special place to revisit playtimes. These items were very important to your pet and will hold fond memories that they often provide some emotional relief. We were all struck by the love in the story of Marley and Me. Create a personal tribute for your pet by writing short stories about how your pet enriched your life. Add in some pictures and a favorite toy to capture details of the story. Bind it all together as a tribute to the life you shared. Create or ask someone make a custom piece of art for you. You could get a tattoo of their birthdate or nickname, choose jewelry with paw prints, or frame a picture. There are so many ways to express your love for a pet that has passed away. National Pet Memorial Day is a day for you to remember how much impact your pet had on your life. Take the time to grieve if you haven’t yet had the chance. Online support groups can be very helpful if you need an understanding shoulder to process your loss. You may have donated blood, but did you know that dogs and cats can donate blood too? During surgeries, illness or injury, veterinarians need the blood of other pets to potentially save a cat or dog who is in the hospital. According to a recent Huffington Post article, there are a few requirements for a cat or dog to be able to donate blood. Some of these requirements may vary depending on the state and blood bank, so it is important to check every hospital or donation center in your area individually. During every donation, a dog will donate approximately two cups, or one pint at each donation. A cat will donate approximately two ounces. When a dog donates blood just one time, it can help save the lives of up to four dogs! Pets get rewarded for their good deed with food, treats, toys and of course, belly rubs. Learn more with the video and article below.